LOUISVILLE, KY (WAVE) - No one will ever wear #1 again for the Ballard High School football team. 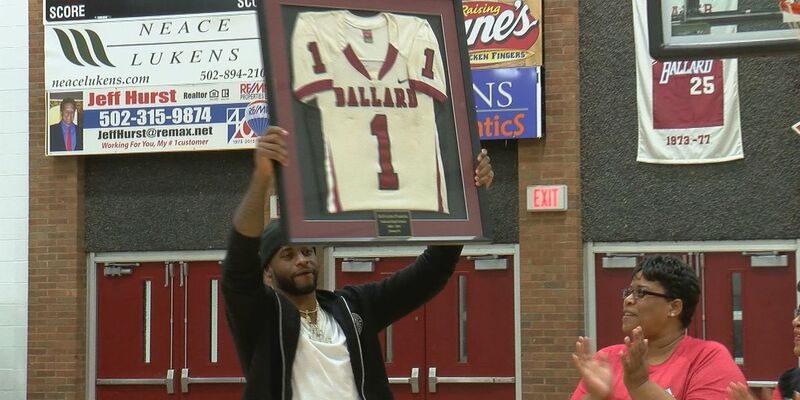 DeVante Parker’s number was retired by the school on Tuesday night. “It’s a great day. When you’re young you don’t ever think this could actually happen to you, and it did. I’m just blessed,” Parker said. Parker caught 156 passes in four seasons at the University of Louisville for 2,775 yards and 33 scores. In 54 career NFL games, Parker has 163 receptions for 2217 yards and 9 touchdowns for the Miami Dolphins. He was the 14th pick in the first round of the 2015 NFL Draft.